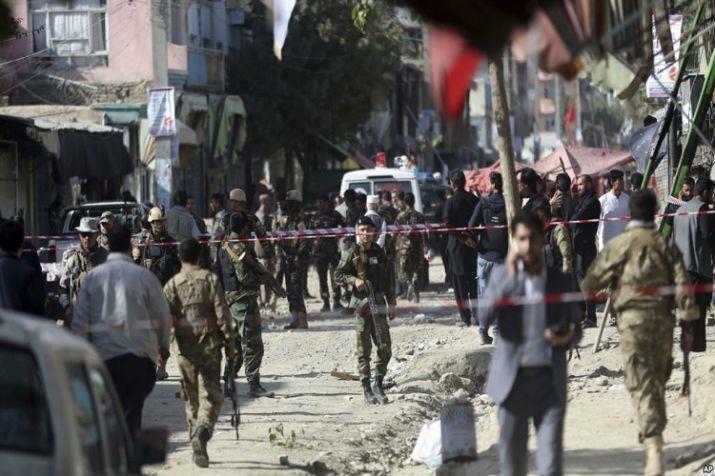 Kabul, Mar 21: At least thirty people have been killed and 23 others injured in a series of blasts that hit the New Year celebrations near a shrine in the Western side of Kabul on Thursday, local media reported. The type of explosions has not been ascertained so far but eyewitnesses had earlier said at least three mortar rounds have landed in the vicinity of Karte Sakhi area. Afghan Public Health Ministry officials have so far confirmed that six people were killed and 23 others were wounded in today’s explosions, Khama Press news agency said. According to reports, a number of women and children are among those killed or wounded in the explosions. "We heard a huge blast at the main traffic circle in Jamal Mina neighborhood at 09:30 a.m. and the blast was followed by two consecutive explosions at the area, which is called Kart-e-Sakhi," Xinhua said while quoting an eyewitness Mohammad Jafar. The bomb attacks came as Afghan security forces have beefed up security across the country ahead of Nawroz Festival celebrations falling on Thursday which marks the Afghan New Year. "The area was closed for traffic as New Year celebrations were underway in Sakhi Shrine but the blasts occurred as big crowd of people were walking toward the shrine," Jafar added. "One of the roads of the square leads to Sakhi Shrine. The whole place has now been sealed off by security forces," he said. Several warning shots were also fired by the security forces. "There are causalities. We still cannot provide details on causalities," a police officer said near the site. Rescue teams, police and security forces from nearby also rushed to the site.